Honor Watch Magic, Huawei's budget smartwatch has finally been launched is currently available now for order on Amazon. Huawei launched the Honor Watch Magic and the Honor Band 4 Running on the 23 January at an affordable price of $192.99 and $25.90 respectively. 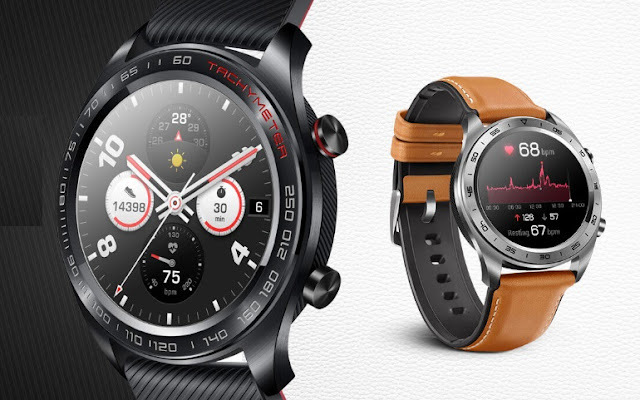 The Watch Magic and the Band 4 Running is carefully crafted using 316L stainless steel that is both lightweight and comfortable, the HONOR Watch is one of the slimmest smartwatches currently on the market. Polished to perfection, HONOR Watch adopts CNC machining and the latest laser engraving to boost durability for daily use. Functions: Alarm, Call Answer, Calls reminding, Calorie burns measurement, Compass etc. As a finishing touch, the shell of the watch is made of biodegradable nylon plastic. Available in two colors, HONOR Watch stands out with its intricately textured double-sided strap. Featuring a blend of Italian cowhide on the front and silicone rubber on the back, this sweat-proof strap is the epitome of comfort and style. 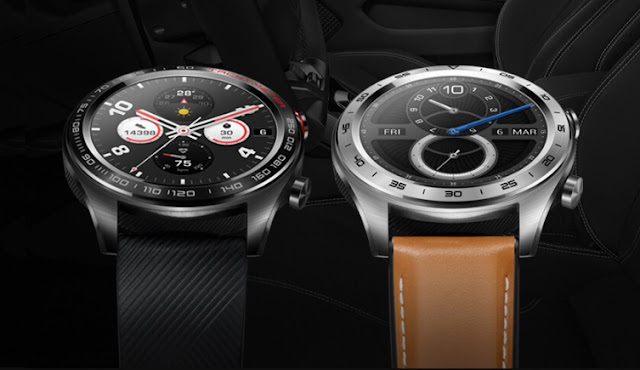 The HONOR Watch Magic is functional, yet sleek watch, it can be worn to work, to the gym, and even transitioned to the evening thanks to its versatile design and impeccable detail. The watch also has a builtin GPS that gives you more accurate and precise location information. Also, the GPS supports 3 Satellite Positioning Systems (GPS, GLONASS, and GALILEO) worldwide. China(Chinese), Russia(Russian), Spain(Spanish), France(French), Germany(German), Italy(Italian), Portugal(Portuguese), United States/United Kingdom/other regions(English), in other words, if your phone language is without regions setting, and you set one of the above languages as phone language, then the device shows phone language regardless where you are. Again, the Huawei Health APP supports worldwide languages and for safety reason, you can ONLY pair the device in APP Huawei Health. In general, the watch is 9.8mm thick stainless steel case with a screen size of 1.2 Inch with AMOLED color display. The watch is a good choice for both outdoor and fitness use and currently available for order from Amazon.